Why is coding such a difficult problem for physicians’ offices? What are some of the most comment E&M coding errors and what can doctors’ offices do to prevent them? Coding for Medicare vs. Medicaid and commercial insurance. How should physicians code for telephone consults? Coding modifier and how they cause problems. 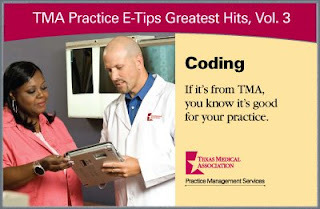 How TMA can help member physicians avoid coding problems and fight coding misinterpretations.